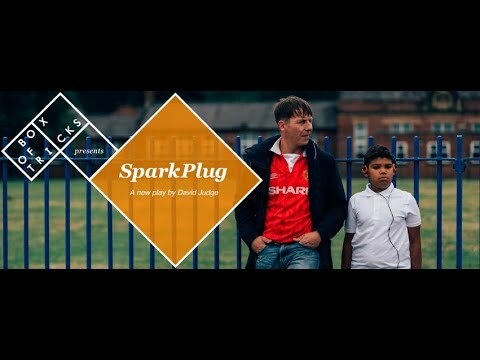 I suppose its a bit odd given how powerful some of the themes in this play are.. but I’ve always been interested in the relationships we have with our cars. Theres quite an emotional attachment to them, they almost become a part of the family and I believe its probably where we have our most honest thoughts about ourselves, something about closing the door and being safe I think.. How many times have you really sung that song that made your day better or soothed your soul? How many times do you get caught out swearing at someone in front? How many times have you just driven because it puts your mind at ease, or child to sleep? Cars are a really interesting space to exist in, I think that is what has excited me most so far. 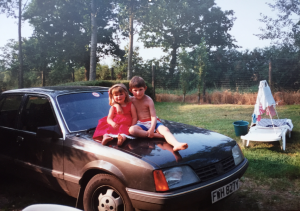 We had an old Vauxhall Carlton, it was an absolute BELTER. My mum and Dad had many sporty cars before my brother and I came along, but I remember the Carlton from being really young. It had gorgeous herringbone seats and it got us all to hospital many a time. I remember when my mum had to take it to scrap it was about 20 years old and she said it was a baking hot day, but when she shut the door for the last time, a little trickle of water ran from the seam as if it was crying. I cried, we all cried. What an absolute corker. Spice Girls – Spice world. First CD I ever spent money on. I was delighted with myself. I have a talent for turning cardboard boxes into pretty much anything. It would be the slowest talent show ever…. Probably more like a live episode of Blue Peter but that is my talent! Sadly I don’t get to see everywhere but this time I think I would enjoy going to Scarborough! Last time I went we went in the Carlton so it would be lovely to go back!